When image consultant Allison Campbell attends an award ceremony to honor a designer friend, she’s thrust into a murder investigation. Only this time, it’s personal. A former boyfriend is dead, slain on the streets of Philadelphia. His widow claims he was meeting with Allison, yet Allison hadn’t spoken to him in years. Nothing about his death—or life—makes sense. When compromising photos from their past arrive at Allison’s office, they raise more questions than they answer. Driven to find justice, Allison deconstructs the image her ex had created for himself, looking for clues about the man he’d become. As her hunt for the truth unveils secrets, Allison’s past and present collide—with deadly results. Related subjects include: cozy mysteries, women sleuths, whodunit mysteries (whodunnit), murder mystery series, amateur sleuth books, mysteries and thrillers, suspense. A former boyfriend is dead, slain on the streets of Philadelphia. His widow claims he was meeting with Allison, yet Allison hadn’t spoken to him in years. Nothing about his death—or life—makes sense. When compromising photos from their past arrive at Allison’s office, they raise more questions than they answer. Driven to find justice, Allison deconstructs the image her ex had created for himself, looking for clues about the man he’d become. As her hunt for the truth unveils secrets, Allison’s past and present collide—with deadly results. **Special Price** Book 2, Deadly Assets is on sale for 99 cents through May 10! Wendy Tyson is an author, lawyer and former therapist whose background has inspired her mysteries and thrillers. 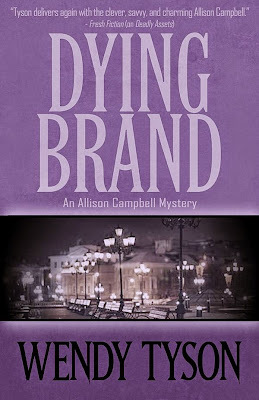 Wendy has written four published crime novels, including Dying Brand,the third novel in the Allison Campbell Mystery Series, to be released on May 5, 2015. The first in the Campbell series,Killer Image, was named a best mystery for book clubs in 2014 by Examiner.com. Wendy is also the author of the Greenhouse Mystery Series, the first of which, A Muddied Murder, is due to be released just in time for spring 2016. 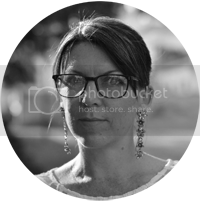 Wendy is a member of Sisters in Crime and International Thriller Writers and she is a contributing editor for The Big Thrill, International Thriller Writers’ online magazine. Wendy lives near Philadelphia with her husband, three sons and two dogs. Visit Wendy's website.